Hey y’all, it’s the today’s felt flower tutorial is a little different. 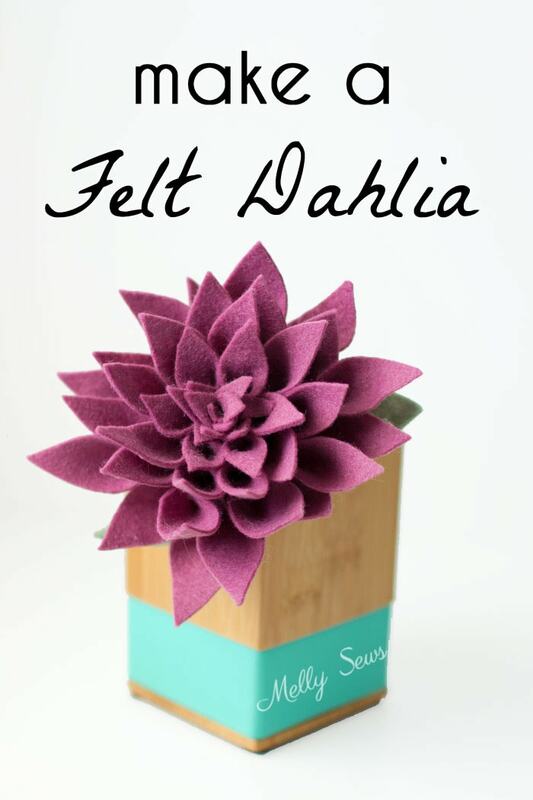 Today I’m going to show you how I make a felt dahlia with a time lapse video. This whole flower is based on this tutorial, and you can go there to see the still images and instructions, but I thought the video version of flower making might be fun too. 1 sheet of 9×12 felt in the color you want your dahlia, and some scraps of green. For this one I used Mulberry and Loden from this shop. I prefer the wool blend felt (which is hard to find in stores) because it cuts cleaner and is softer and easier to shape. So here’s the video time lapse of how I made the flower. If it doesn’t load for some reason you can also watch it on YouTube here. Look out for more flower tutorials to come – like I said, I’ve made a bunch of these!